The Carpets and Rugs Institute recommends a minimum of 6-15 feet of walk off material at entrances. 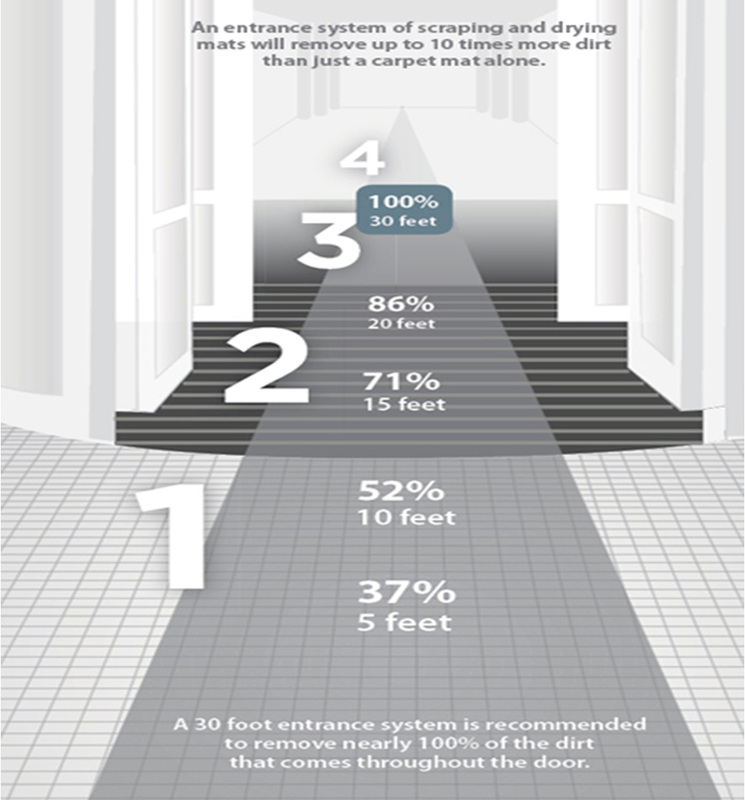 Our experience shows that a typical vestibule type applications does not provide enough walk off material to be effective in keeping soil from entering the building. We have several clients that have incorporated the walk-off material into their design and created as much as 75 feet of walk-off material.